Naturally this made my list because it is a Scorsese flick with exceptionally good reviews and something I haven’t seen before. It starts off slow, not boring, just slow, like you aren’t really sure what is going on. However, the minute it gets into full swing, Rupert Pupkin is no longer the guy you feel for, just trying to get a foot in the door of Hollywood and comedy. No, sirree. He is pushy and really weird and you cringe watching him, it is so desperate and embarrassing. The themes here, whether subtle or in your face, are something that is undeniably common in today’s society, and that is truly strange. De Niro delivers one hell of a performance, hands down. He was brilliant, and his timing in this was excellent. Naturally, when he and Scorsese team up you are bound to get something good. The movie might start off lightly, but it devolves into pretty dark comedy, which is always comedy that I enjoy. I appreciate the way the movie examined celebrity obsession from both ends of the scale, and I really felt for Jerry. The lengths that some people will go to to achieve fame is incredible, and the desperation the famous covet some privacy just shows you it isn’t all that it is cracked up to be. All Jerry wanted was some privacy. All Rupert wanted was a chance to shine. Then let’s just talk about Marsha for one deranged second. Oh. My. God. That was just lunacy at it’s worst. I mean Rupert was quite a handful to deal with, but she was totally off the rails. Wowee! 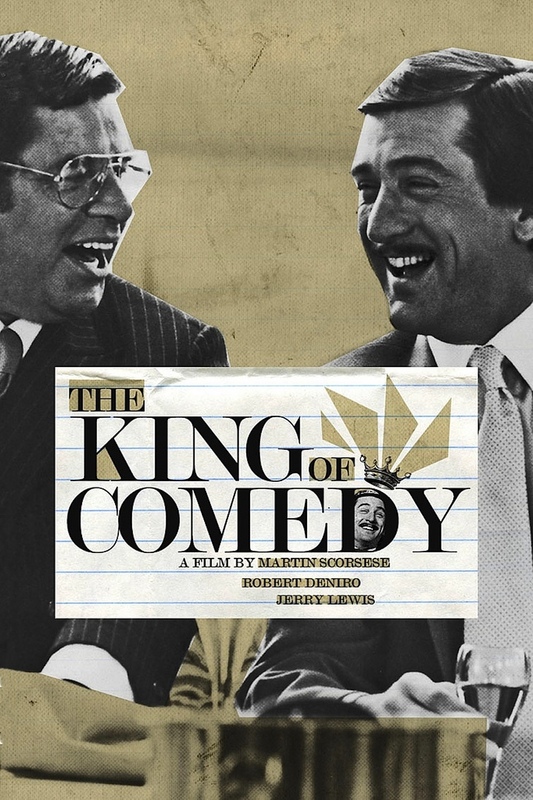 Anyway, The King of Comedy is directed well, has a fascinating story and great pacing to deliver it to you, some outstanding performances all round and works incredibly well. If you have not checked it out, it is well worth it, and if you are into dark comedy, this might tickle your fancy. This entry was posted in Movies and tagged Blind, dark comedy, Diahnne Abbott, Jerry Lewis, Martin Scorsese, movie reviews, movies, Robert De Niro, Sandra Bernhard, Shelley Hack, very good. Bookmark the permalink. Hadn’t heard of this one but your stellar review has made it sound very good. It was really good, you should check it out! I’ve got so much stuff I gotta watch. I saw this at home! Had some Scorsese films I still had to see on my shelf and in box sets. I hope you come across it sometime. Have you checked, erm, illicit ways of procuring this, perchance? Great stuff best one! So glad you enjoyed!! Brilliantly satirical and darkly hilarious film. This is one of the best I reckon, and De Niro is on scintillating form. Great review Zoë. Thanks Adam, definitely in agreement there!